9mm band and housing are 400 series stainless steel. 6mm slotted hex head screw is zinc plated. Short housing saddle is weld free and keyed into the band. Smooth form evens the pressure around the hose. Pressed tooth form and rounded, raised band edges prevent damage to the hose. Precision Brand® Critical Connection Hose Clamps provide more efficient sealing at lower torque. *Part number SP4 Description: 7.5mm band and housing are stainless steel. 5mm slotted hex head screw is zinc plated. Short housing saddle is weld free and keyed into the band. Smooth form evens the pressure around the hose. Pressed tooth form and rounded, raised band edges prevent damage to the hose. 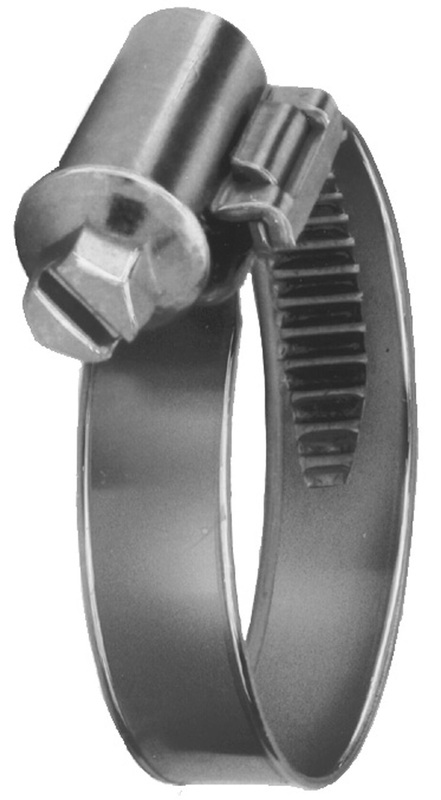 Precision Brand® Critical Connection Hose Clamps provide more efficient sealing at lower torque.